The End of Summer BBQ Was a Hit! More than 150 chanichim, madrichim, family members, and alumni gathered to enjoy one last Moshava night together before the end of the summer. The weather was perfect… and Moshava alumnus Steve Greenberg’s Tailgators provided a delicious BBQ that was enjoyed by all. Moshava Committee volunteers planned the evening, and lead a sing-a-long of tried and true Moshava camp songs. A great time with great friends. Photos will be posted soon. The next Moshava event will be the Alumni Kumzitz…. This article originally appeared in the Chicago Jewish News on 8/13/2010. See the original article here. Summer camp is supposed to be educational, but kids at Camp Moshava in Wild Rose, Wis. received a little extra real-life learning earlier this summer. They witnessed the bris of a baby boy born to a family living in nearby Door County. It’s the third bris, or ritual circumcision, that Rabbi Moshe Kushner has performed at the camp over the last two decades. Kushner, now the executive director of the Chicago Rabbinical Council who served as director of the camp for 22 years, said he received a call from an Israeli couple, Jennifer and Ronen Eliyah, living in Door County. They had a new baby boy, and there was no rabbi near them. Kushner told them to come to the camp.  Camp Moshava is sponsored by the Religious Zionists of Greater Chicago and Bnei Akiva. Rabbi Kushner performed his first bris at the camp 18 or 19 years ago when he was the director. At that time, unbeknownst to Kushner, an Israeli shaliach (representative) at the camp and his wife were trying to adopt a baby. Kushner was awakened with a 6 a.m. phone call on a Friday in July and said to his wife, “I feel in my blood this is a phone call about a baby.” It was the shaliach, asking the rabbi if it was permissible for a couple of adopt a baby during the Nine Days, a traditional period of mourning. A baby had just been born in Pittsburgh and was available for them to adopt, he explained. That baby is now a young man serving in the Israel Defense Forces who keeps in touch with Kushner and recently sent him a picture of himself with his unit. The third bris at the camp took place about three years ago, Kushner said, and was for the child of an Israeli couple living in Rhinelander, Wis. For them to come to Chicago, or for the rabbi to go to their home, would have been an eight-hour trip. He told them he would meet them half way and performed the bris at camp. To his knowledge, he said, Moshava is the only camp that has ever hosted a bris, much less three of them. The Ruben Family Keshet Overnight Camp at Moshava. In 1993, after many months of planning and preparation, Keshet’s dream of an integrated overnight summer program became a reality. For four weeks that summer and every summer since, Keshet children have joined Jewish children from around the world at Camp Moshava in Wild Rose, Wisconsin. A special thanks to then Moshava Executive Director, Rabbi Moshe Kushner and the Moshava camp committee for the time and energy that was put into making this program a reality. In 2004, Joyce and Dennis Ruben announced the establishment of The Ruben Family Keshet Overnight Camp at Moshava. This generous support has helped carry on the vision of Keshet of offering a fully integrated overnight experience for campers with special needs. Moshava provides this opportunity to participate in a four week overnight Jewish camp. Overnight camp experience, while fun, is not a luxury for the Keshet campers. Play can be hard work. With the proper staff and supervision, the summer is a time of tremendous personal development. This four week program is customized to meet each individuals needs. Our staff members are hand- selected and trained as peer support. At Moshava, campers work, learn and play alongside their typically developing peers. It is wonderful and amazing to see the independence and confidence gained by the Keshet campers at Moshava. Keshet campers participate in all the activities ranging from sports to arts and crafts, davening to canoeing, swimming to study groups, special trips, and a whole lot of socializing. The nights end late, but are filled with an exciting array of games, competitions, singing, dancing, and much more. Highlights of the summer are strawberry picking, the trip to the Wisconsin Dells, bowling and roller skating. The most popular of all is the “chutz”, the overnight camping trip, where blankets and rocks became tents, and meals are cooked over an open fire. The Maccabiah, or color wars, another favorite and eagerly awaiting tradition at Moshava, signals the end of the summer. For two days, the red and blue teams compete in athletics, banner-making, singing, and a final evening of moving presentations. And, all of this is possible because Moshava opens their doors to Keshet. One of the most moving times for anyone spending a summer at Moshava is Tisha B’Av. For the past several decades, Moshava has defined the Tisha B’Av experience for chanichim and madrichim alike. This year, however, Moshava was unable to host the full Tisha B’Av experience due the a scheduling conflict. Because of the way that the Jewish calendar fell out this year, Moshava had no choice but to schedule intersession during this week of Tisha B’Av. Regardless, the community got together at Hillel Torah North Suburban Day School, in Skokie, and decided to try to capture the uniqueness of a Tisha B’Av in Moshava outside of camp. Eicha was read beautifully by Jeremy Amster. A crowd of over 135 people listened quietly to the reading of the prophet Yermiyahu’s lament over Yerushalayim and the Beit HaMikdash. Following Eicha, our previous director Rabbi Moshe Kushner told one very moving story. Rabbi Kushner is famous for saying “I’ll never tell a story twice”, luckily the story was recorded and will be available on our YouTube channel shortly. Today, our Boys’ Migrash was dedicated in memory of Bernice and Mitchell Macks. Rabbi Danny Kroll, their grandson and long time tzevet member here at Moshava, spoke at the dedication. Other members of the Macks family drove up from Chicago to participate amongst members of the Committee, Tzevet, and the Chanichim. We thank the Macks family for their generosity and look forward to many more fun summers on the Boys’ Migrash.